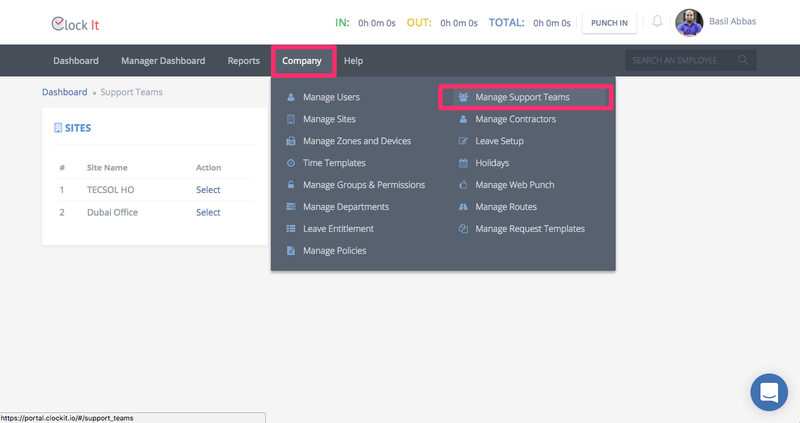 Know more about support tickets and how to use them. ClockIt supports raising support tickets. 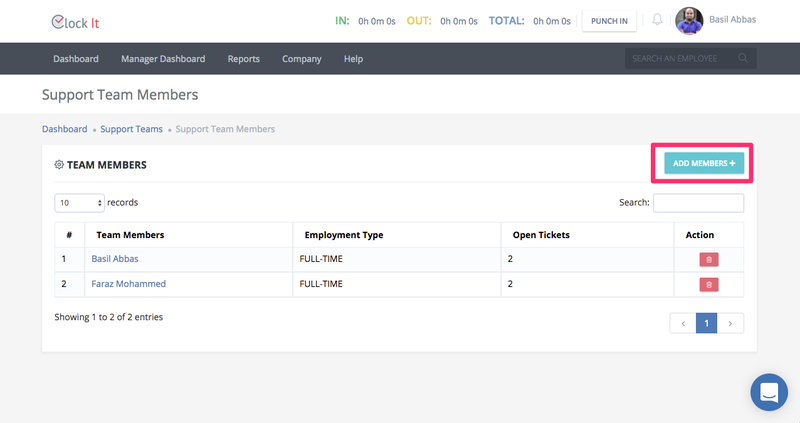 Support tickets are used by your internal team to raise tickets that can be resolved by a support group. For Example: If you are having issues with your computer, you can raise a support ticket to the IT team. Someone from the IT team can pick up this ticket and resolve it for you. 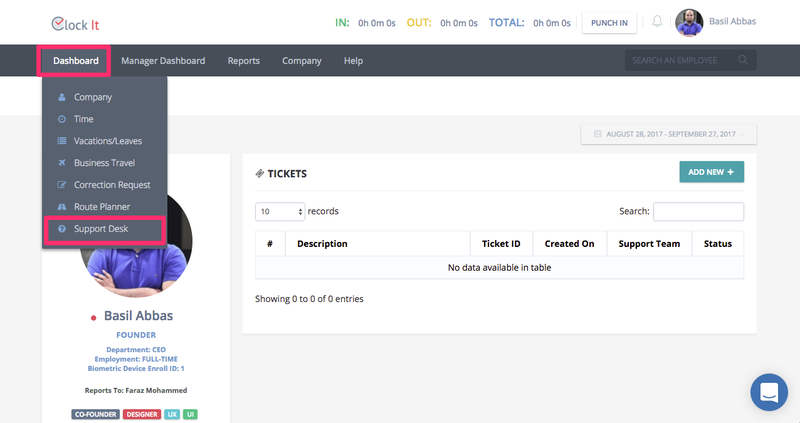 Note: Support tickets can only be raised by people that have an account with ClockIt. Users that are not registered with ClockIt cannot raise a support request. Support teams are site-specific. 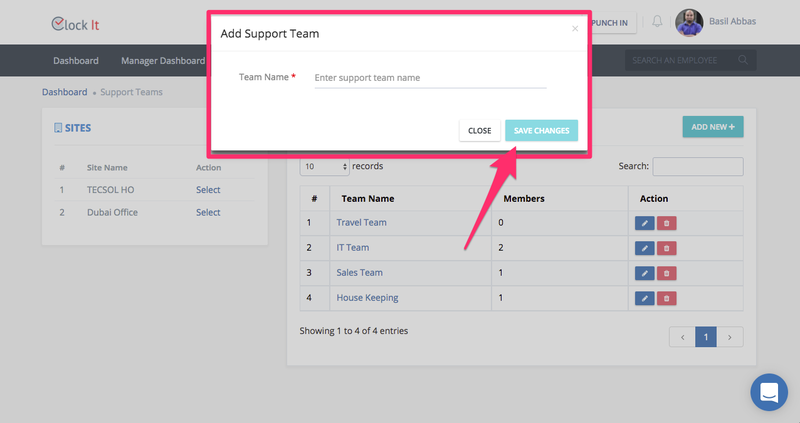 You will need to select the site where you need to create your support team and then click on Add New. Name your support team and then click save changes. 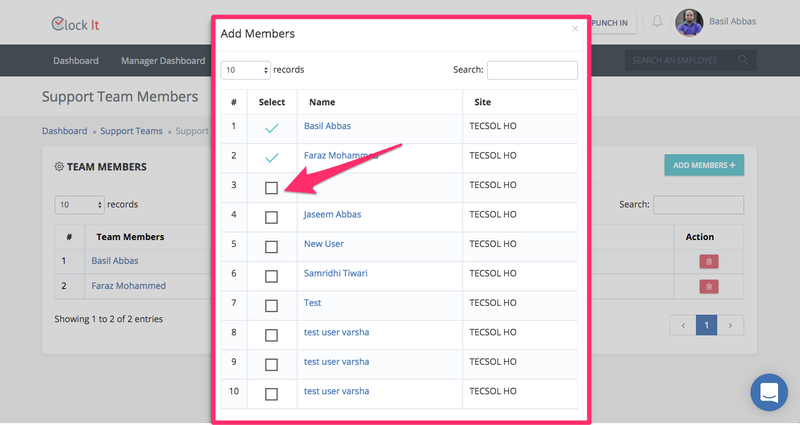 After your team is created, you will need to add members to your team. 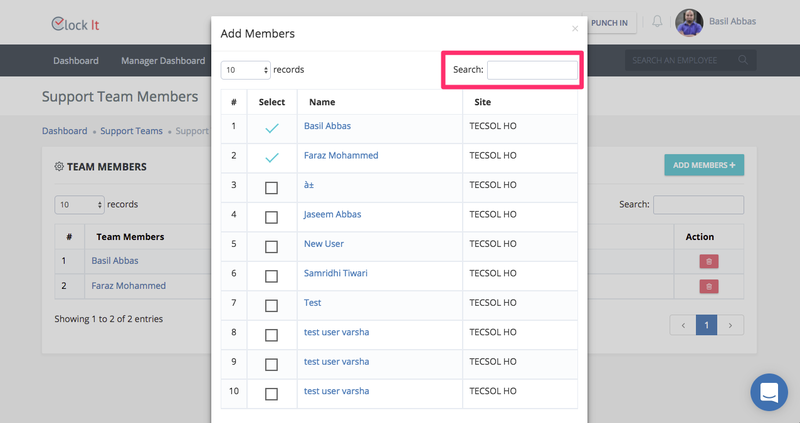 Click on the team name and you can start adding members by clicking Add Members. 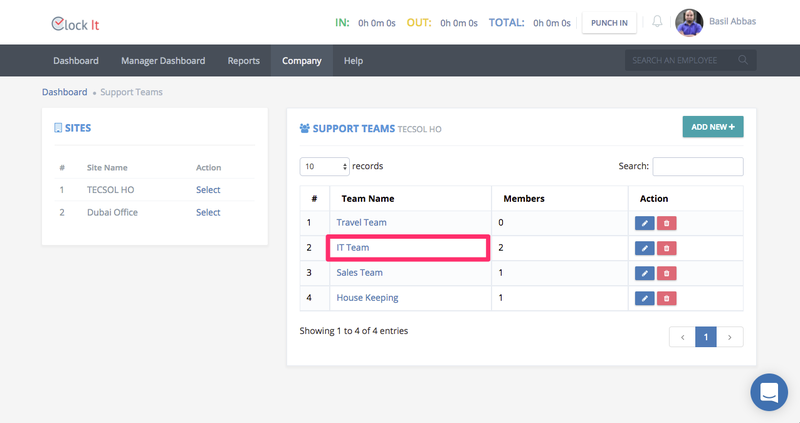 You can check the checkboxes of all users that will form a part of the support team. PRO TIP: Use the search box to quickly search for employees. 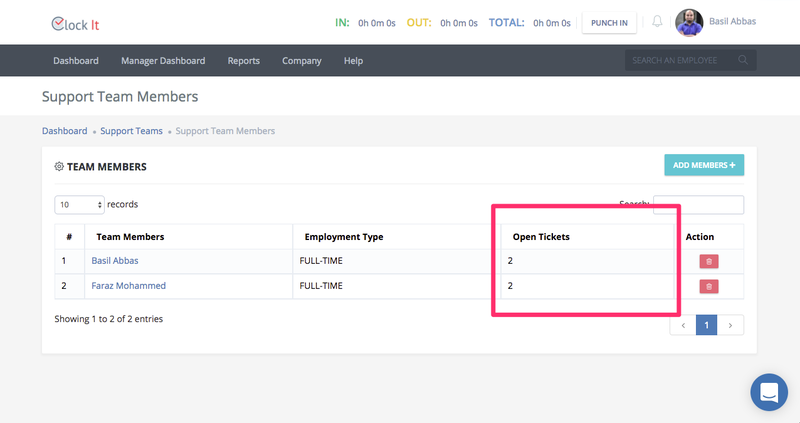 To know how many tickets are open for each user look at the open tickets column. 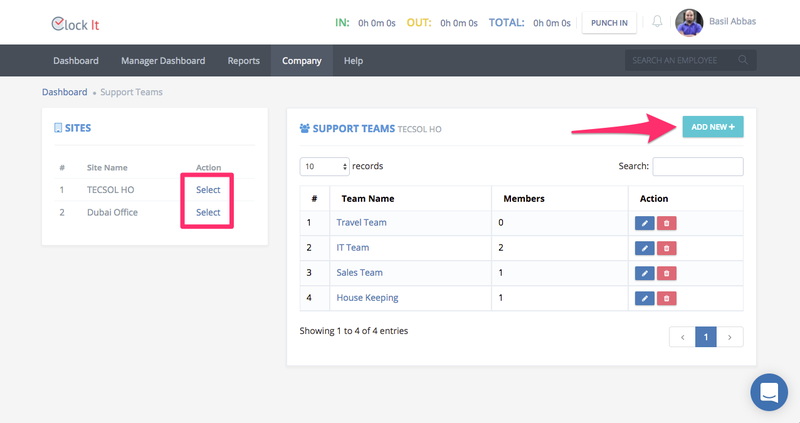 You will have access to the support dashboard only if you are a member of a support team. 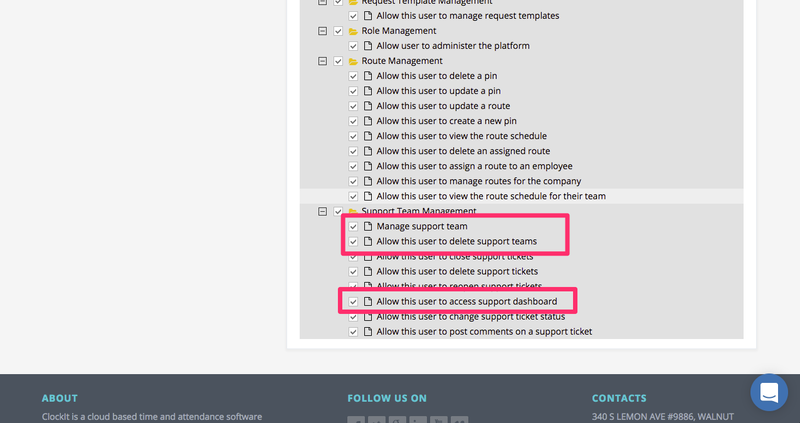 To manage support teams you will need the following permissions.